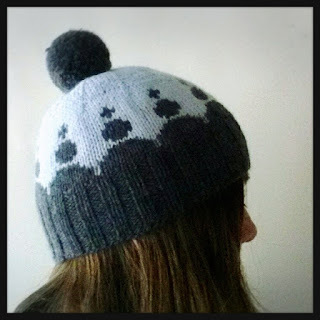 I have a new hat pattern to share today! Hatdings is super quick, snug fitting beanie that comes with 22 different motif charts. 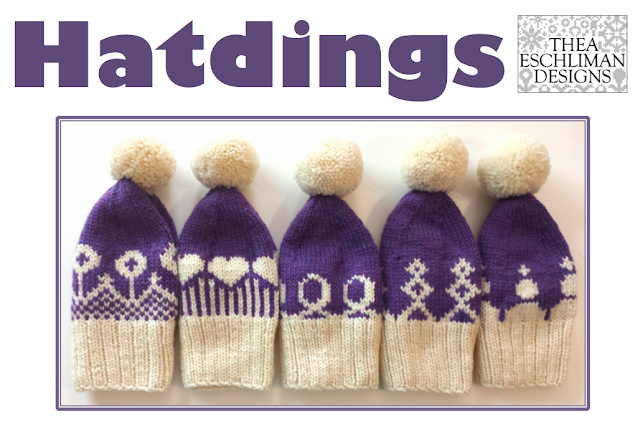 It can be knit in a day or weekend by an experienced knitter, or a week for an inexperienced one. Little mirrors added to the sequin chart pattern. It's perfect for this time of year when the weather starts to get cold and you want a quick hat or if you realize your holiday gift list is longer than you thought and you really should have started knitting in the middle of summer to have everything ready in time, but you didn't and now you are starting to panic. In these colors I thought it looked like a crown. 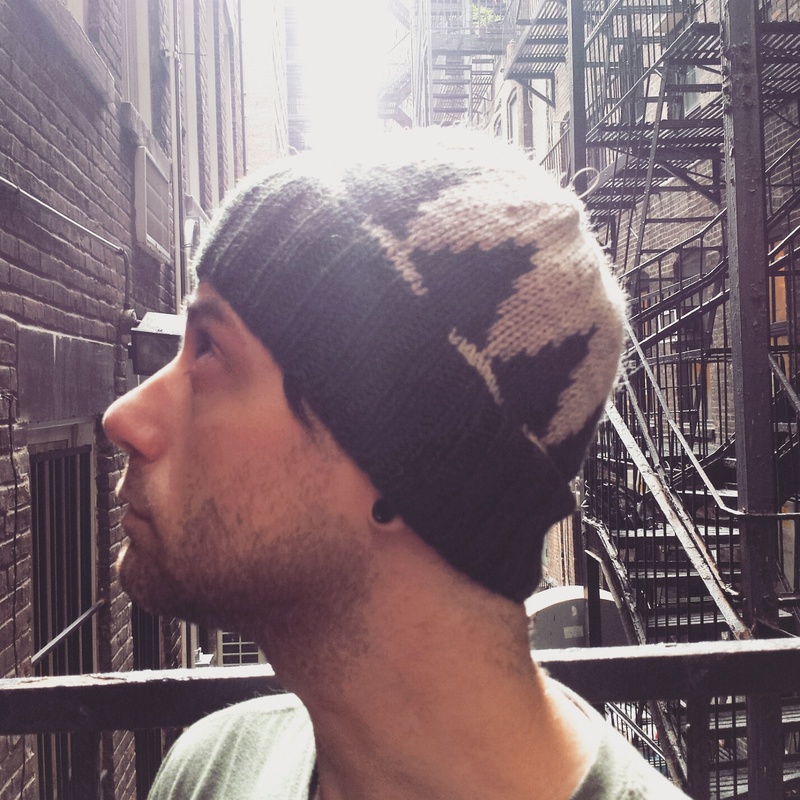 The Hatdings Beanie is knit with 2 colors of worsted weight yarn on US Size 6/4mm circular needle. It comes in 2 sizes. 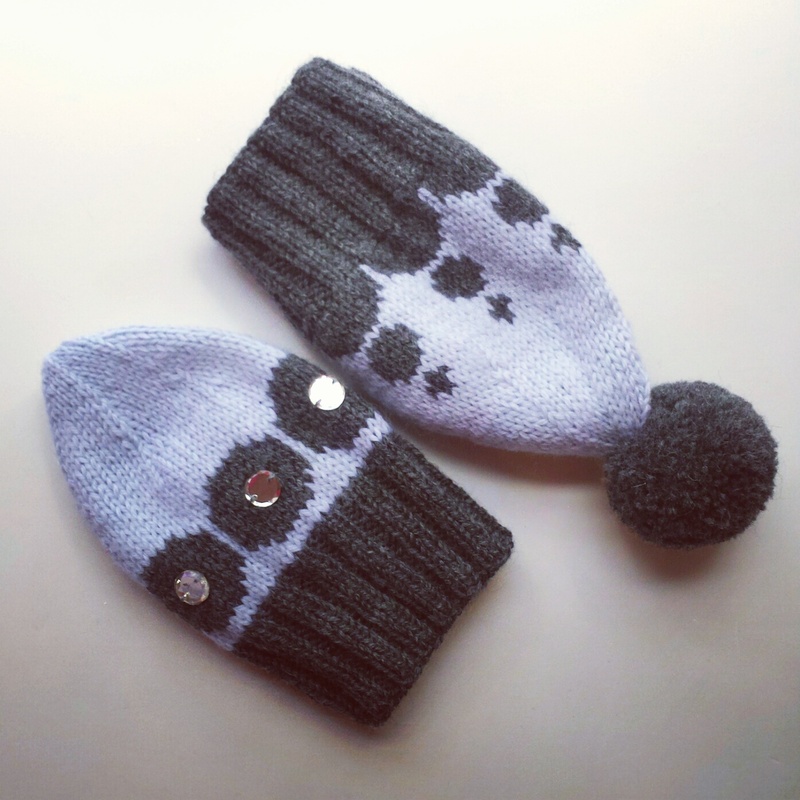 The small size is good for people who can wear most commercially sold hats. The large size is good for people who try on hats, only to have them perch on top. I have stopped bothering to try on hats at craft fairs; they never pull down around my giant noggin (24"). It's like an urban tree farm. 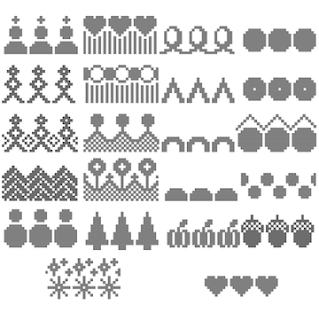 The charts range from taller, lacy motifs, to short scallops, to fall acorns, and winter trees. 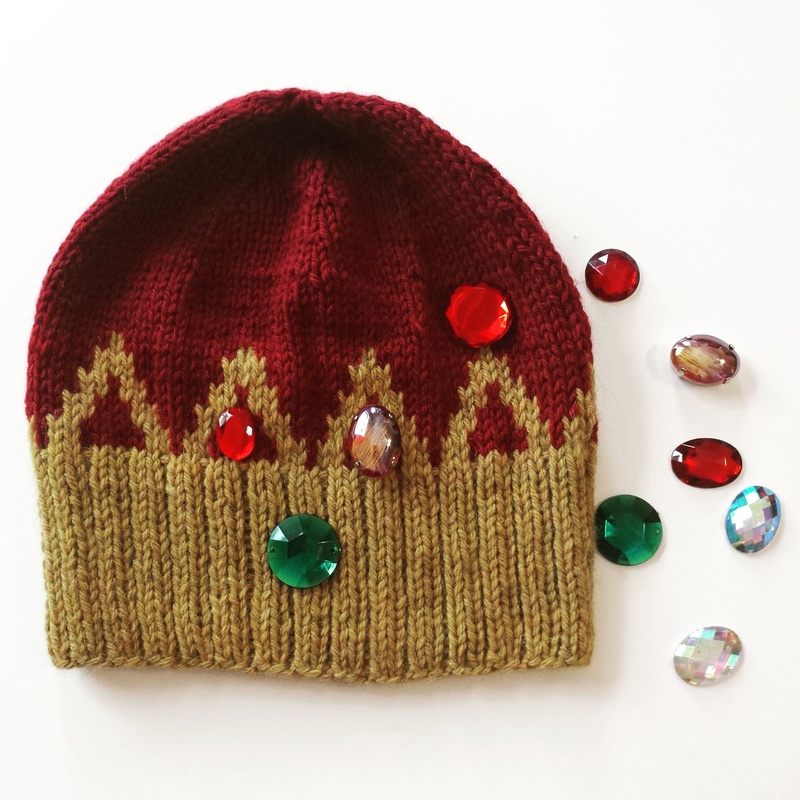 Depending on the motif and colors used, the hat can be customized to suit just about anyone. More details can be found on the Ravelry pattern page.